The design for the website resolved itself during the initial site visit. In evaluating the brief, it was clear that Skeg wanted to communicate the difference of their offering to their competitors in the product development industry. With the main visual, we wanted to showcase the scale of the workspace and to allude to the notion of having everything under one roof. 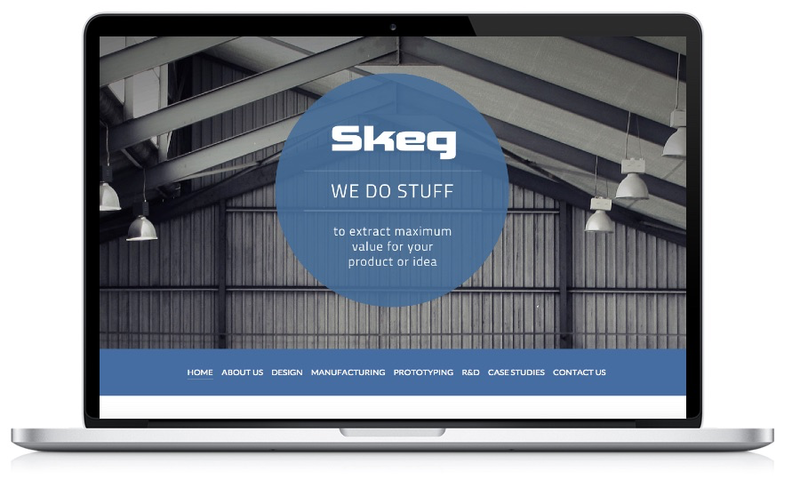 This is because, unlike more design-orientated office based competitors, Skeg are practical engineering-orientated and provide a full life cycle of product development capability from design through prototyping to manufacturing. We highlight the range of services offered clearly in the main navigation and also profile them within case studies. The client may add to these over time using the content management system. Boldly, we set the ethos of the brand by prominently using a payoff line. Copyright © 2015 wearehyenas.com . All Rights Reserved.